Add a Windows 10 PC to the domain, whatever the version is. 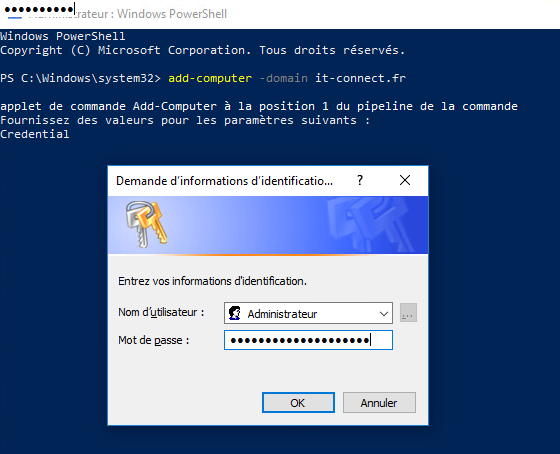 Although the integration of a position within a domain is usually performed at the time of deployment of the position, including a solution like MDT, it may be that this action is to be done manually. With Windows 10 and evolutions over the versions of the settings panel, it is not always easy to find its brands and the right options. To not take my head, I go directly through PowerShell. At least, no matter which version of Windows 10 the command works and it's very fast (and simple too). Let's see how to proceed. 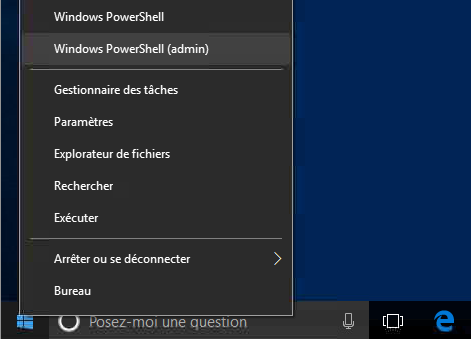 Open the PowerShell console as an administrator. Enter the following command, replacing the domain name. If your PC manages to join your domain, you will be asked to enter the necessary identifiers to integrate it. That's it, your PC is in the field!